The big guns of the Norfolk Tides finally opened fire at Harbor Park on a cloudy, warm and humid Tuesday afternoon at Harbor Park and left the pitching staff of the Scranton Wilkes-Barre Yankees in shambles. 4541 fans came out for this business person’s special which began at 1215 and the Tides fans among them went away very satisfied as the Tides pounded out 12 runs on 16 hits and committed no errors to split the series with the Yankees. Tuesday was a far different affair than the previous three games against the Yankees where in 27 innings the team managed just 5 runs and had no home runs. Jake Arrieta was not as sharp as he has been but still picked up the win going five innings giving up 2 runs on 2 hits but surrendering five walks to the Yankees. Yankees starter Zack McAllister went just 3 innings and was tagged for 7 runs on 9 hits including 2 home runs while reliever Amaury Sanit fared little better giving up 5 runs on 5 hits including 2 home runs in two innings work. 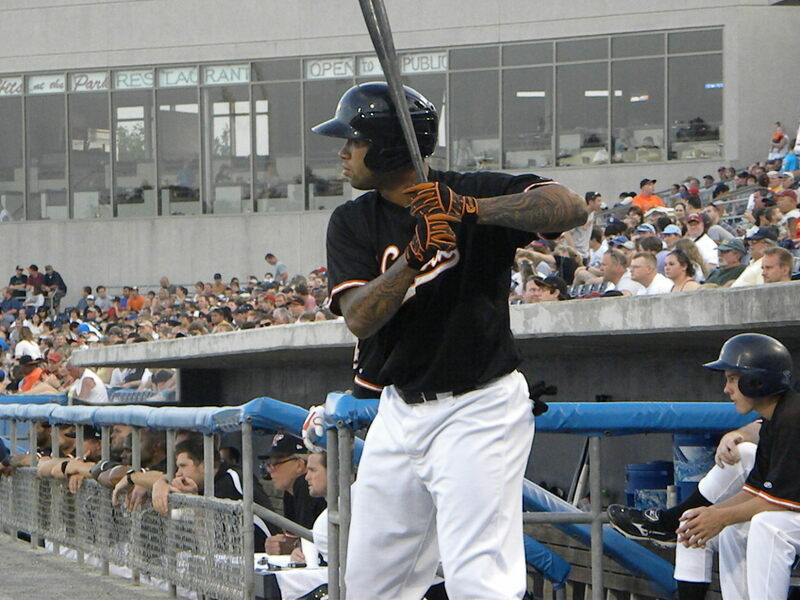 The Tides offensive barrage began in the 1st inning when leadoff batter Robert Andino hit the fourth pitch of the game over the left field wall off of Zack McAllister. In the second inning the Tides went back to work. Corey Patterson who went four for four on Monday connected and doubled to right. 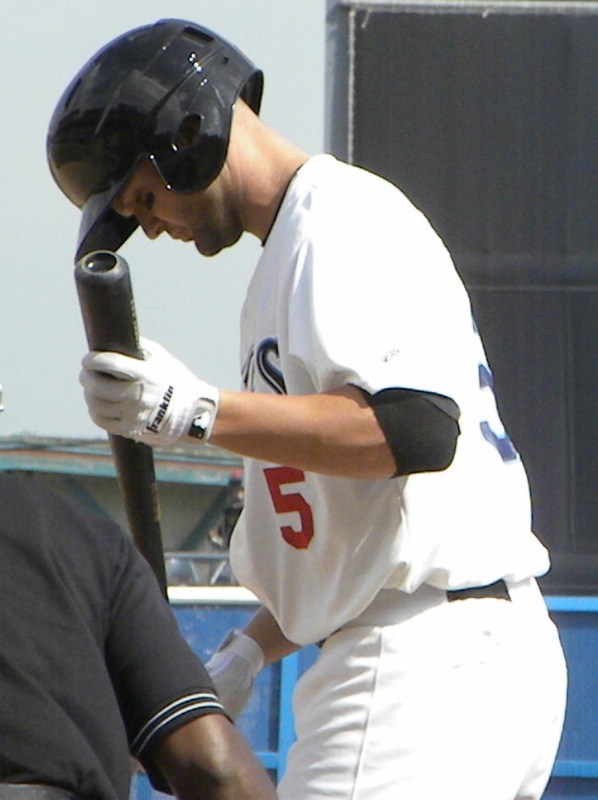 He was followed by Scott Moore who homered to right field getting down in the count 0-2. The Tides threatened more in the inning as Michael Aubrey came to the plate and singled and Adam Donachie was safe on a force attempt on a throwing error by McAllister. Blake Davis flied out to center and then on an unusual play hit a fly ball to right which Yankees Right Fielder David Winfree caught and threw back in to McAllister. On the play Aubrey had advanced to third but was called out when the Yankees claimed that he had tagged too soon and McAllister threw to Eduardo Nunez for the double play. After a scoreless 3rd inning the Yankees went quietly in the top of the fourth. It was then that the Tides hits blitzed McAllister and Sanit with a fearsome hitting attack. 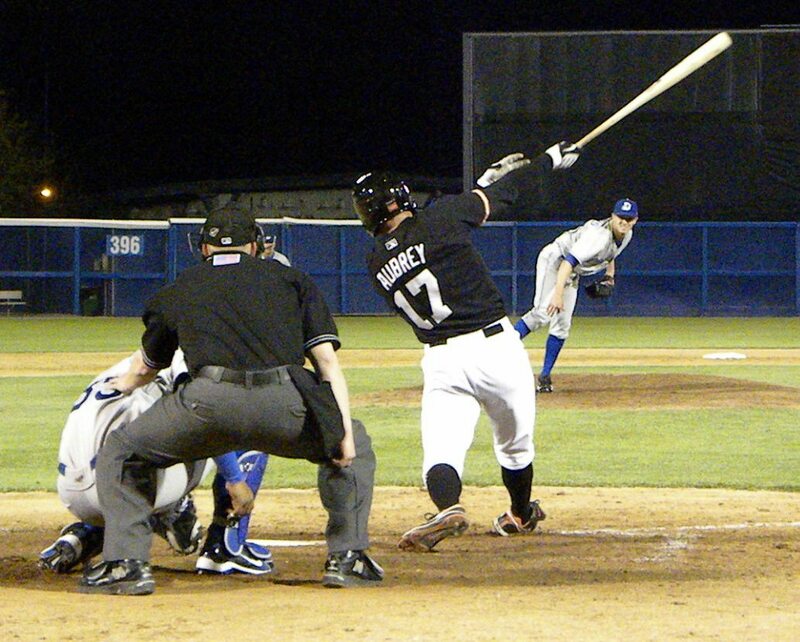 Scott Moore and Michael Aubrey both singled to put runners on first and second with no outs. Adam Donachie then bunted successfully to load the bases. Up came Blake Davis who doubled to left scoring Moore and Aubrey. This ended McAllister’s day and Amuary Sanit (1-0 5.54) got the call to try to stop the Tides barrage. Like McAllister he faced Robert Andino as his first batter and Andino wasted no time whatsoever blasting the first pitch over the left center field wall top clear the bases. Joey Gathright grounded out and the Yankees must have felt that the worst was over. However that would not be the case. Jeff Salazar singled and was driven home when Josh Bell hitting from the left side of the plate hit his first Harbor Park home run taking the first pitch from Sanit to the opposite field over the left field wall. Corey Patterson grounded out and with no one on base and two outs the Yankees found that the Tides were not finished. Sanit walked Scott Moore on four pitches and was followed by Michael Aubrey who doubled to score Moore. Adam Donachie doubled to right on the first pitch delivered by Sanit to score Aubrey to make the score 12-0. At long last following a wild pitch which allowed Donachie to take third Sanit was able to get out of the inning by striking out Blake Davis. The Yankees got two runs back in the top of the 5th inning as Arrieta began to have some control problems. Jake walked former Tides Catcher Robby Hammock and then former Tides Catcher Chad Moeller singled. 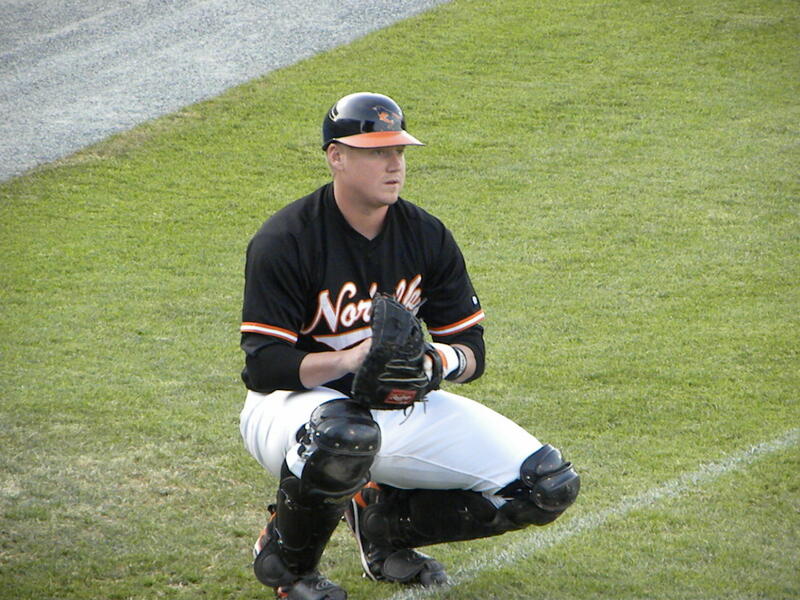 Hammock had been released by the Orioles at the end of last season and Moeller during spring training and both were signed to minor league contracts by the Yankees. Kevin Russo walked to load the bases and the Yankees got their first run when Arrieta walked Reegie Corona scoring Hammock. Edaurdo Nunez then grounded into a force out which scored Moeller before Arrieta got Juan Miranda to hit into a 5-4-3 double play. Ross Wolf (0-0 2.76) came in at the top of the 6th inning to relieve Arrieta who had made 92 pitches. Wolf sent the Yankees down in order in the 6th and finally the Yankees were able to put a lid on the Tides offensive juggernaut although the Tides had another big scoring opportunity in the bottom of the 6th when Zack Segovia (1-1 7.71) who had come on in relief of Sanit hit Josh Bell, gave up a single to Corey Patterson and had Scott Moore reach on a throwing error by Eduardo Nunez. Segovia got out of the inning by striking out Michael Aubrey, Adam Donachie and Blake Davis in order. In the 7th inning Ross Wolf retired the first two batters and then walked Kevin Russo. Russo was followed by Reegie Corona who after getting down in the count 0-2 kept fouling balls off until he launched a home runner over the right field wall. 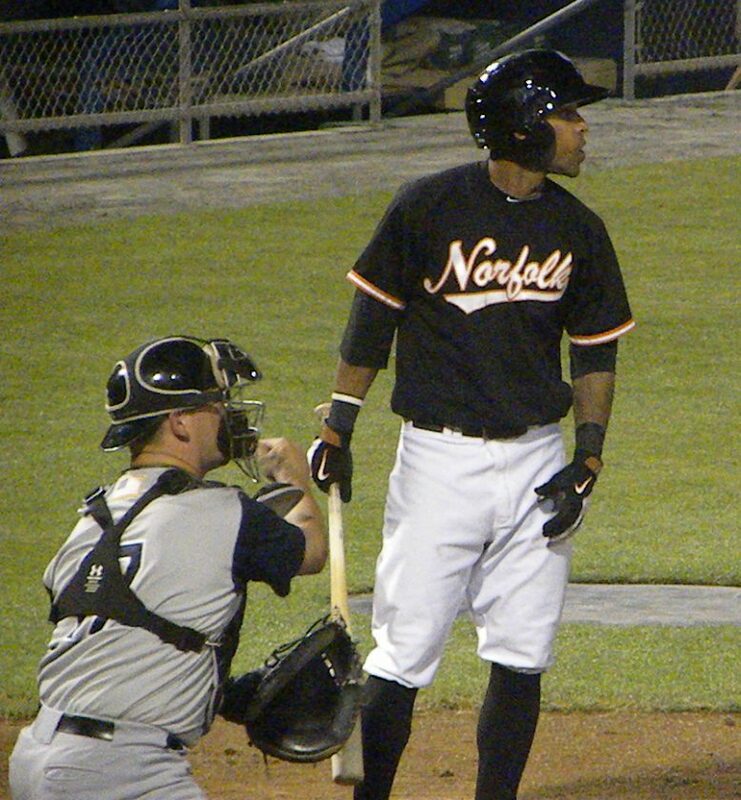 Wolf then retired Eduardo Nunez to end the inning but pounded his fist in his glove in frustration for giving up the two out home run after nearly having Corona out. 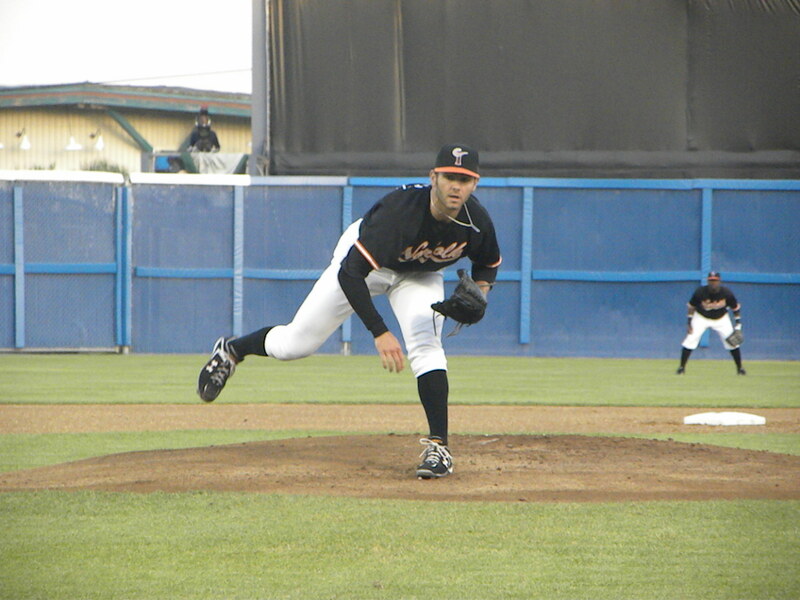 In the 8th inning Jim Johnson (0-0 0.00) made his first appearance for the Tides this year after being sent down from Baltimore when Brad Bergeson was brought back to the team from the Tides. Johnson allowed a 2 out double to Jon Weber but allowed no runs. The Yankees brought in Tim Norton (0-0 0.00) to pitch to the Tides. Norton gave up a leadoff double to Josh Bell. Corey Patterson grounded out and Scott Moore flied out. Michael Aubrey walked and with runners on first and third Adam Donachie flied out to center to end the inning. Frank Mata (1-0 1.50 S4) came in to close the game for the Tides in a non-save situation and put down the Yankees in order. In all the Tides scored 12 runs on 16 hits with no errors leaving 8 men on base. The Yankees had 4 runs on 4 hits and two errors with 6 left on base. Corey Patterson went 2-5 today and ended the series with the Yankees at 9 for 16. Josh Bell hit his fourth home run, Robert Andino got numbers three and four and Scott Moore got his third dinger of the season. Jake Arrieta (3-1 1.50) got the win and Zack McAllister (0-2 5.52) got the loss. The Tides get a well deserved day off on Wednesday and return to Harbor Park to face the Toledo Mud Hens with Chris George (1-1 4.24) taking the hill for the Tides going up against Toledo’s Armando Galarraga (3-2 2.30). The weather should be great with daytime highs in the mid- 80’s and clear skies. See you there.